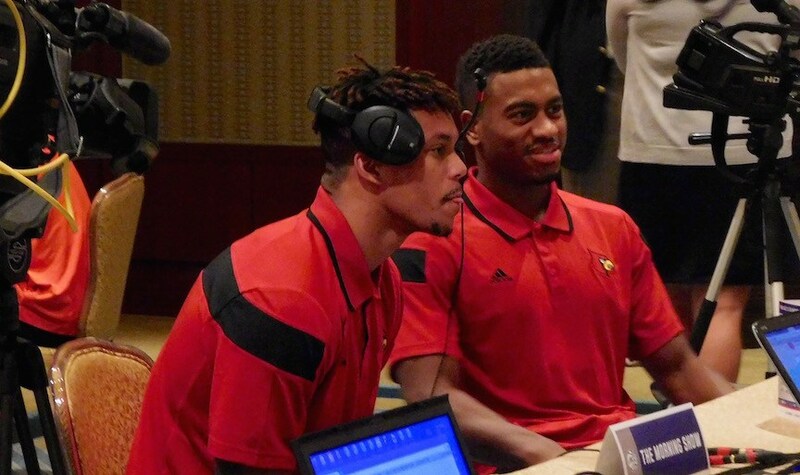 Here’s a look at some of the most disappointing performances so far by ACC teams. Clemson: The Tigers already have two bad losses on their resume. 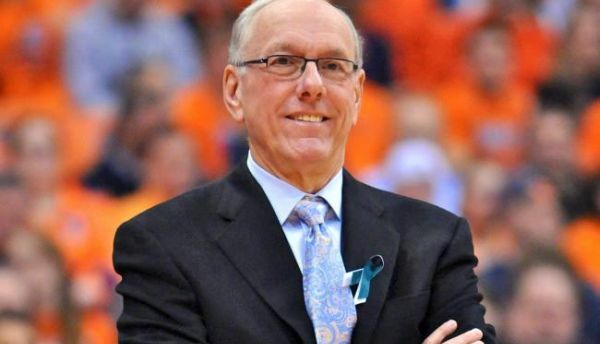 First came a 77-74 home loss to Winthrop on Monday, November 17, and then Clemson suffered an unimpressive 72-70 defeat at the hands of Gardner Webb, this past Friday in the opening round of the Paradise Jam Tournament in the U.S. Virgin Islands. The shocking thing about both losses is that we expected Brad Brownell’s Tigers to struggle on offense and be stingy as always on the defensive end, but that was not the case in either game. In fact, Clemson shot over 48 percent from the field in both contests but surprisingly allowed over 70 points to two offenses that kenpom currently has ranked #194 (Gardner Webb) and #244 (Winthrop). In the two games combined, Clemson gave up 20 made three-point baskets, allowed 24 offensive rebounds, and only forced 14 turnovers. It should be noted that the Tigers did respond to these losses with back-to-back wins over Nevada and LSU in the Paradise Jam, but those bad losses will stick with them (and the ACC) all season long. Florida State: Picked by most to finish in the upper-middle part of the ACC, Leonard Hamilton’s squad has been a huge disappointment so far by dropping three of its first four games. All of the defeats are to teams ranked in kenpom’s top-75, so looked upon individually, no loss is considered terrible, but in two of them the circumstances are troubling. First of all, a mid-level ACC team should not lose at home to any team from the Colonial Athletic Conference, but that’s exactly what happened as Northeastern edged the Seminoles, 76-73 in Tallahassee last Tuesday. Then Florida State dropped back-to-back games over the weekend at the Hall of Fame Tip-Off Classic in Uncasville, Connecticut. Providence destroyed them, 80-54 on Saturday by scoring at will (1.26 points per possession) on the normally stout Seminoles’ defense. That’s the second worst defensive performance by Florida State since the 2007-08 season. Sunday’s 75-69 loss to Massachusetts was much more competitive, especially considering that star guard Aaron Thomas missed the second half after being rushed to the hospital for apparent dehydration due to an illness. This isn’t the first time that Florida State has struggled during the early nonconference part of the season, and often they are able to turn things around in conference play and contend for a bid to the NCAA tournament. However if the Seminoles drop many more games before January, they may be in too big a hole to dig out of in the newly improved ACC. Pittsburgh: In a game that went largely unnoticed, Pittsburgh took a tough 74-70 loss at Hawaii, last Friday night. It was the first of four games in Maui for the Panthers as they are now competing in the EA Sports Maui Invitational. Perhaps due to jet lag, Pitt allowed the Rainbow Warriors to connect on 53 percent of their field goals. The defense didn’t get much better though in Monday’s 81-68 win over Chaminade, as the Division II Silverswords also topped the 50 percent mark from the field. The Panthers won because they were able to dominate the glass by a huge +34 rebound margin, which included 27 offensive boards for Pitt. Even before this trip, Pittsburgh was not very impressive in a seven point win over Samford, currently ranked #306 in kenpom. Jaime Dixon’s squad still has a chance to right the ship before returning stateside, but at least thus far, Pittsburgh’s reputation as a tough team to score against looks to be in jeopardy this season. Virginia Tech: We hesitate to include the Hokies here, since Buzz Williams’ team was not expected to be very good, especially early in the season. But when an ACC school loses on it’s home floor to the 312th ranked team in the country, they don’t deserve a pass. Appalachian State went in to Blacksburg this past Saturday afternoon and beat Virginia Tech, 65-63. The Hokies shot better than Appalachian State from the field and held a +4 edge in turnovers, but couldn’t overcome a shocking rebound deficit of -15. The Mountaineers turned 19 offensive boards into 23 second chance points, while Virginia Tech only scored five from its eight offensive rebounds. Certainly that does not bode well for the Hokies, when stronger ACC frontlines come to town. Wake Forest: The Deacons have two early losses that are pretty bad, but for different reasons. Last Wednesday, Wake Forest got hammered at Arkansas, 83-53 and followed that by falling at home to Iona on Friday night, by a score of 85-81. While no one expected the Deacons to roll into Fayetteville, Arkansas, and beat a team expected to finish near the top of the SEC, the 30-point margin was disappointing. Even though Iona is a good team and the preseason favorite in the MAAC, and Wake Forest had a quick turnaround following the trip to Arkansas, Danny Manning wasn’t happy with how his team responded in terms of early effort. The new Deacon head coach also wasn’t pleased with himself for calling a timeout that he didn’t have, with Iona up by two and 23.1 seconds left. The Gaels made 2-of-4 subsequent free throws to ice the game. In a recent blog, longtime Wake Forest beat writer Dan Collins discussed how Manning is drawing a line in the sand, regarding the effort level of all his players, including supposed stars Devin Thomas and Codi Miller-McIntyre. We will soon see if that message is getting results, as the Deacons get an early ACC road game, at N.C. State next Saturday, December 6. 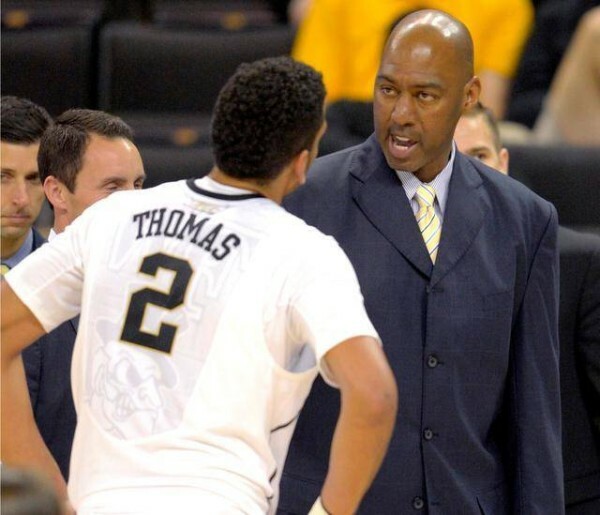 How fast can Danny Manning turn around this program? 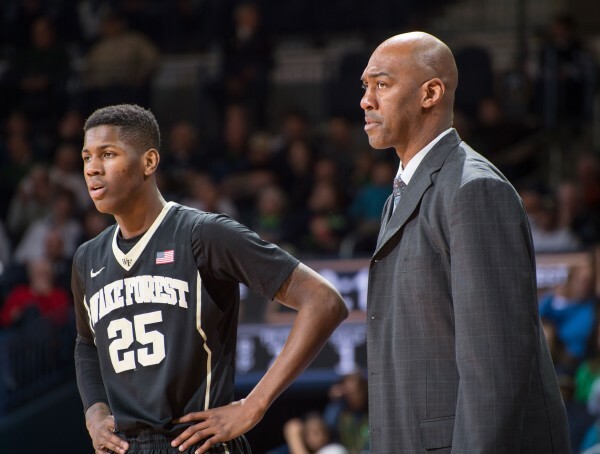 With nowhere to go but up, Wake Forest hopes to have hit a home run with the hiring of former NBA star and Tulsa head coach Danny Manning after a miserable stretch under Jeff Bzdelik. Hired to fix a program that was winning on the court but losing off of it (multiple player arrests), Bzdelik flipped the script. His players generally stayed out of trouble, but his teams never sniffed postseason play. The four-year period included a weak overall record (51-76), bad ACC performance (17-51), one of the nations’ worst road records (6-38), and a single ACC Tournament win. No wonder the fan base demanded a change. Assuming Manning will improve from the depths that Bzdelik took this program, how long will it take him to lead Wake Forest back to the role of an ACC contender? After Four Miserable Years, Wake Forest turns to Danny Manning. 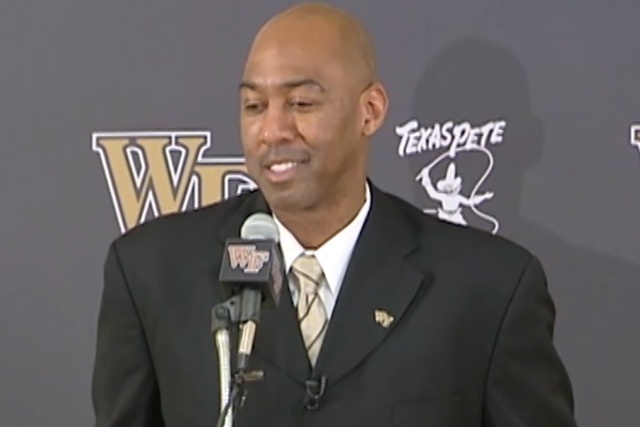 Danny Manning had one on the most storied collegiate careers in history, leading Kansas to the 1988 National Championship and earning National Player of the Year honors along the way. After a long NBA career, Manning decided to pursue a life in coaching. But unlike many former stars who make the move to coaching, Manning went the college route — starting at the ground floor as the director of student-athlete development/team manager, followed by five years as an assistant coach, all at his alma mater — rather than joining an NBA staff. He deserves credit for not taking a short cut and using his name recognition to land a head coaching job before he was prepared for one. He spent the last two seasons as Tulsa’s head man, which not only gave him excellent experience in the role but also prepared Manning for coaching at a small private school that values academics but also wants to compete athletically with the big public schools. Another interesting thing about Tulsa is that it has historically served as something of a breeding ground for coaches, several of whom have gone on to great success at the high-major level. Look at the chart below. Can Manning become the fourth former Tulsa head coach to reach the pinnacle of the sport, and can he do it at Wake Forest?